UPDATE: This deal is now dead. Only lasted a day or so. Good luck for those of you that made your reservations! UPDATE #2: Just got an email from Avis and I guess they are canceling any reservations made with the coupon code. Not very impressed by Avis on this one. 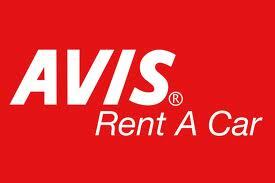 Avis has a promo code right now for a FREE 2-day weekend car rental. You will have to pay for tax and fees (anywhere from $5-$30), which will depend on the city you rent the car in. Enter information and dates that INCLUDE WEEKEND dates. Enter coupon code TUEA002 on this same page. Select a car size from compact to full-size by clicking the PAY LATER option (that way you can cancel if you want to). This will NOT work if you select a car larger than full-size. Price will be adjusted on the next page. Confirm the reservation. You DON'T need a credit card to make your reservation. It has to include at least 2 weekend days. You can select a longer rental and it will give you the discount for those 2 days. There are a few places it will not work in like New York, Alaska, Canada. Other special events going on in the area. For example in Phoenix, you can't use the promo until after April 1st because of spring training. Must be for rentals BEFORE June 30, 2013. Give it a try! Make sure you use the Pay Later feature in case you want to cancel or modify the rental! No risk if you don't actually end up using the rental. This seems like a pretty good deal, so I'm not sure how long it will last. If you think you might want a 2 day weekend car rental, go on and make your reservation now! If you LIKE what you've read, LIKE us on Facebook for more awesome deals! I LIKE YOUR POST BECAUSE IT IS VERY USEFUL FOR ME.